Identifying and patronizing the best vegan leather jackets as well as other sustainable ethical fashion pieces is a true hallmark of real Vegans, an honorable act that is gradually becoming hip and entrenched deeply in mainstream fashion. Fashion designers and “vegangelicals” are flooding our markets with luxurious and beautiful designs of faux leather jackets as a sustainable alternative to the animal leather that has been in use since time immemorial. This, along with the continued emergence of new ethical fashion boutiques and shops (brick and mortar, and online), is making the transition to vegan and sustainable fashion a seamless and much easier process. But, like most good things, getting this far was not an easy process. Classic biker jacket by Members Only. This biker jacket is made from our signature vegan leather that has been finished with just the right amount of vintage to create an awesome look. Features two zipper pockets, a front biker pocket, and our heritage chest pocket. It has an attached adjustable belt, and the real classic biker lapels. From the staple of the world’s renowned makers of the iconic blue jeans comes this darling of the men’s wardrobe, Levi’s men faux suede lightweight trucker jacket. With this awesome and stylish vegan leather outer garment, the days of you having to put on animal leather for the sake of getting the needed warmth and comfort that they offer are long gone. 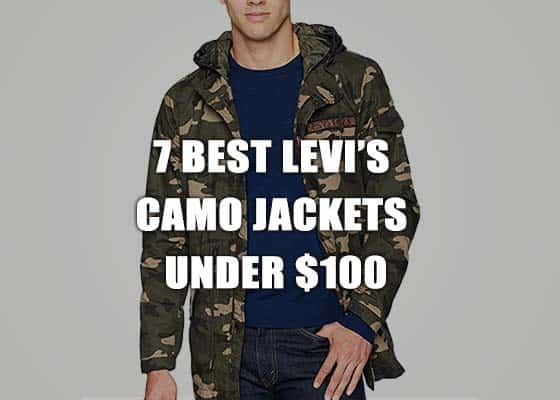 Aside from its high quality, this must-have jacket also affords you a macho and high fashionable look all, at the same time. If you do, then it is time to upgrade your wardrobe with the addition of a Members Only men’s vegan and suede bomber jacket. This timeless and versatile shade of bomber jacket in vegan suede is fashioned from the best of vegan faux leather by Members Only. With an oblique entry set of pockets at the side, the iconic breast pockets, as well as the ribbed collar and cuffs, this jacket is a fundamental necessity. The ever-fashionable Cole Haan signature men’s faux-leather jacket is another best vegan outer garment most worthy of your wardrobe. It is sharp and its authentic soft and sleek feel makes it a perfect mimicry of real animal leather. The jacket features two side entry pockets, a bottom-to-top zipper, and a shirt collar that is sure to add style and flair to any outfit. The Fairylinks men’s casual slim fit moto bomber biker racer jacket is high premium quality polyurethane leather specifically designed for your lasting use. This vegan motorcycle jacket is extremely versatile and perfect for withstanding the windy weather that bikers are typically exposed to. Its adjustable sleeve, standing collar, and rock design patches make it an ideal biker jacket, that perfect choice for your riding experience. It is available in several colors and sizes which makes it suitable for you to trust at nights when temperatures are extremely low. 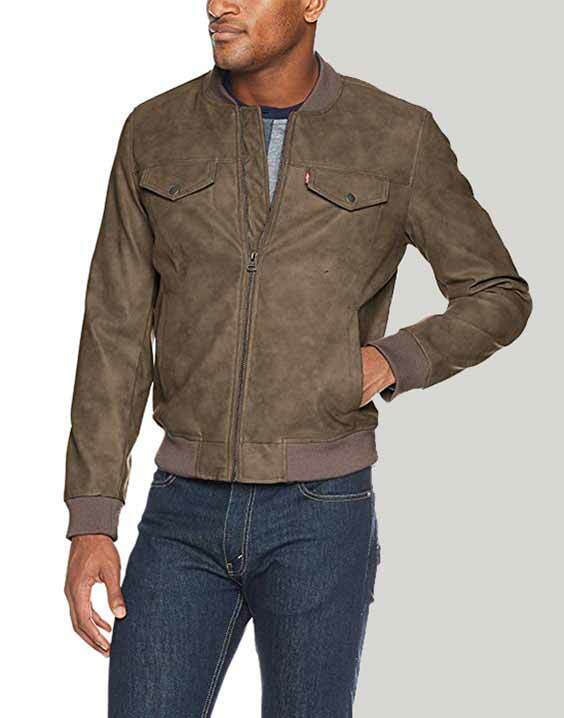 The Kenneth Cole Reaction men’s soft vegan leather collared jacket is a faux-leather moto jacket with a bottom to the top zipper, double-breasted snap-flap pockets, and side entry pockets towards the hips. This lightweight polyurethane jacket is a perfect choice for the warmer seasons, especially towards the end of summer and spring. It has a good, flexible, and soft texture as well as a sleek and chic design. This combines to give it an alluring look mimicking real animal leather. No doubt, this item is a wardrobe essential for you as a vegan male. I am certain that you would remember how real men back in the days styled the high-quality shearling leather jacket variants between the 80s and 90s. Indeed, those were the days. Since then, leather jackets have become a mainstay and the most sought-after men’s fashion article but the downside to this development is that the leathers come from animals and are cruelly sourced. Cruelly, brutally, and unethically sourced leather is a norm…a very bad norm! This is a complete turnoff for every vegan and an ethical-conscious individual who have ever since eschewed the use of animal-based jackets. Earlier, these compassionate individuals were left with limited or no alternatives and that resulted in quite a number of vegans using the disparaged unethical leather jackets – especially during the height of the winter season where temperatures do hit low extremes. Eventually, an alternative material such called the “faux-leather” was discovered – the vegan fashion HOLY GRAIL! Trust the business world, most of the faux leathers bandied around as alternatives were not so eco-friendly. Today, however, the best vegan leather jackets are made from plant-based materials which are biodegradable, durable, and eco-friendly, thus, making it an absolute ethical option as well as a sustainable way to go. Why is this top 6 vegan leather men’s jacket group at the top of the ladder? The dilemma of the vegan man or woman is that among the best vegan leather jackets readily available in the market are products that are not purely vegan considering that they have been compromised with some animal-based materials (secretly, of course). Nevertheless, here is a list of 6 best faux leather jackets, a better alternative to the real thing and is 100 percent vegan by every atom. The looks and feel of the best vegan faux leather are similar to those made from animal skin and they do not in any way look inferior. Wearing one of the faux leather variants as a vegan is a way of practically living the ideal vegan lifestyle – and saving the planet too. Go get one for yourself today! !